This thread maintains a full catalogue of previous episodes of our fanart program, Community Showcase Live. The thread will be updated every month to link to the newest episode. We'll provide a list of contributing artists, who are selected from artist submissions on this sub-forum and our official Guild Wars 2 Tumblr page), along with a a few call-outs we make on the show. 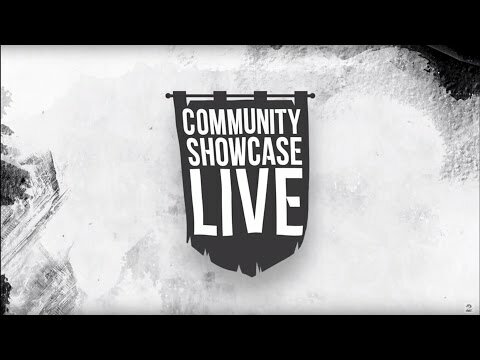 Click the link in the monthly post to watch that Community Showcase Live episode! To view the entire CSL catalog, click here. A note here: If this listing is inaccurate as far as spelling or presentation — for instance, perhaps your name is all one word, or is written in all lower-case, that sort of thing — please PM me so I can fix it. Also, if we happened to mispronounce your name on the show, don't hesitate to PM me so that we will know how best to say the name if it should arise in a future show. Thanks again so much to all the people who contribute to our community through their art! As always, if the name above is inaccurate — spelling, capitalization, chosen name — please let us know by sending me a PM. Feel free to do the same if we accidentally mispronounced your name on the show. Thanks a bunch to everyone who contributes to our community through their art! Thank you to everyone who shares their creations here on the forums or on our Tumblr page. We can include more dev guests, like Cameron Rich (this month) and Peter Fries (who guested on the January episode). I can hang out with you in Twitch chat, which is a ton of fun! Thank you to all our artists for sharing their creations here on the forums or on our Tumblr page. Whether featured or not, we love seeing what you created. And if your creation is not featured this month, it may show up in an upcoming show! Many thanks to each and every community member who shares their creations here on the forums or on our Tumblr page. Whether featured or not, we love seeing what you created. If your creation is not featured this month, it may show up in an upcoming show! Note: If you're sharing on Tumblr, please always use the hashtag #GW2FanSubmission to give us permission to showcase your art! If you are sharing art that was created by someone else, please ask that they submit the art to Tumblr or the Forums. If you share in recognition of someone else's work, be sure you make that very clear in your post so that the artist receives the credit they are due! Thank you. Thanks so much to everyone who contributed to the show, as well as those who joined us during its presentation. Special thanks to our guest Steve Hwang, who is a long-time coworker and friend. Please remember that we can go "back in time" to select art for a show, so never hesitate to share things, even if they are "off season." For instance, some of the art for next year's Halloween show will be chosen from this year's shared art. If you share here, great! Sharing on the forums means you have given us have permission to feature the art. If you're sharing on Tumblr, please always use the hashtag #GW2FanSubmission to ensure we can showcase your art! Major shout out to all the talented artists who contributed to the show, as well as those who joined us during its presentation. It was super fun to chat with you! Special thanks to our guest Matt Tate, another long-time coworker and friend. As always, please keep in mind that we select art from any period in time on the forums or Tumblr, not just recent weeks. For the Wintersday show, I found some great art from 2014 and maybe even earlier! So never hesitate to share things, even if they are "off season." For instance, some of the art for next year's Halloween show will be chosen from this year's shared art; many of the Wintersday pieces that are submitted this December will be used next year, especially since the holidays prompt us to select art very early in the month. If you share here, great! Sharing on the forums means you have given us permission to feature the art. If you're sharing on Tumblr, please always use the hashtag "#GW2FanSubmission" to ensure we can showcase your art! As always, a huge thank you goes out to all the talented artists who contributed to the show. I'll raise another cup of holiday cheer to those who joined us during the broadcast — it's always a pleasure to visit with you while viewing the show. Remember that we select art from any period in time on the forums or Tumblr, not just recent weeks. So art that fits a theme in the future may be chosen but held until that show. Halloween and Wintersday — I'm looking at you. ! If you share here, great! Sharing on the forums means you have given us permission to feature the art. If you're sharing on Tumblr, please always use the hashtag "#GW2 Fan Submission" to ensure we can showcase your art! Many thanks and much apprecaition to all the talented artists who contributed to the show. Keep that art coming, folks! If you share here on the forums, terrific! Sharing on the forums means you have given us permission to feature the art. If you're sharing on Tumblr, please always use the hashtag #GW2FanSubmission to ensure we can showcase your art! Continued praise and sincere gratitude to all the talented artists who contributed to the show and who keep our forums and our Tumblr pages lively. Keep that art coming, folks! If you share here, great! Sharing on the forums means you have given us permission to feature the art. If you're sharing on Tumblr, please always use the hashtag #GW2FanSubmission to ensure we can showcase your art! Special Note: We love all forms of art, but are particularly hoping to see some more videos or trailers and some musical pieces. If you're a videographer, a trailer maker, or a musician, please consider sharing your work so that I, in turn, can share it on the show. WeLoveFine and our GW2 FanForge where fan art becomes official merchandise and each artist receives a royalty if items are sold created based on their art. Follow the link to submit art or to vote! Roam – Roam created an amazing Guild Wars 2 card game and offers it here on the forums. Check it out! Bigz – For next year's SAF, Bigz's video will be valuable if you want to try for the Bee Dog. WeLoveFine and our GW2 FanForge are still going strong. Follow the link to submit art or to vote! DakotaCoty – popular guides and hints on our former forum, with hopes they will bring some of them over here to the new official forums! Aikijin X – pontage videos and build info, also a prolific producer whom we hope will find a new home here. Pink Alp Bananas – celebrating their 2nd anniversary creating fun Guild Wars 2 comics. I hope they will continue to share their work on our forums, from time to time but you also can find it here. Thanks, as always, to the talented artists who contributed to the show and who keep our forums and our Tumblr pages lively. Keep that art coming, folks! Noisia – Forum member offering to make chatbox banners for streamers and YouTubers on commissions. 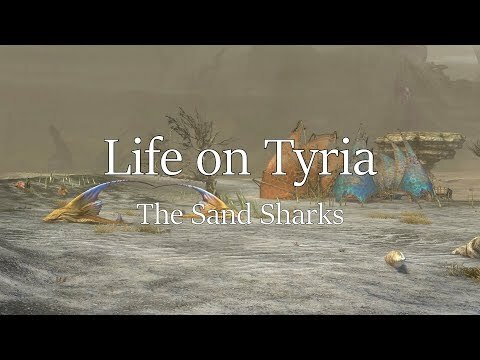 Organizers of the Pride March in Tyria — read about it here. Share here! Share on Tumblr (flag each piece #GW2 Fan Submission). We love to showcase your art! And like several 2015 pieces in this show prove, we do indeed look throughout our media to find the perfect piece for each show. Thanks to each and every member of the Community Creations forum, our Tumblr page, and our viewing audience! Share here or share on Tumblr (use #GW2 Fan Submission tag). We’ll keep an eye out for what you make! Forum Member Kodiak -- Amazing "Chaos of the Bells" music. And... a great time was had by all at our Halloween 2018 Community Showcase Live. What could be better? Community creations, music, videos, and a costume parade featuring members of the ArenaNet Team!